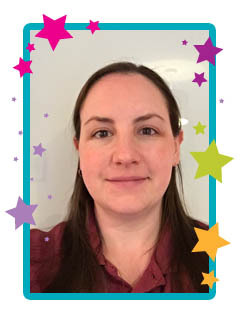 Catherine is currently on Maternity Leave with sessions restarting September 2019 – please contact jo@minimaestro.co.uk to find your nearest class. Hi I’m Catherine. Since graduating in 2007 I have spent 8 years as a primary music and instrumental teacher. More recently, for the last 3 years I have worked as an early years and primary teacher alongside running Mini Maestros classes in Wakefield. Through having fun, I have seen how much music helps a child’s early development and have loved being a part of that. My own daughter Alexa loves Mini Maestros, she constantly pinches the Max and Mitsey dolls and asks to sing the songs. I recently moved to Barnsley and I’m looking forward to meeting new little ones (and their grown-ups!) and carrying on the musical fun in a new area. The maps to on this page are intended as a guide only. Please call if you need more exact directions. If you would like to be kept up to date with what is happening in our Mini Maestros - Barnsley and Middlestown Classes - please go to our facebook group and add us as a friend. You can contact Catherine using the contact form on this page or by calling her on 07878041954.